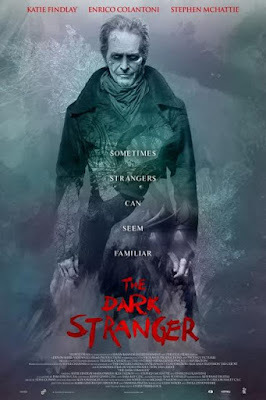 Coming this October from Terror Films is THE DARK STRANGER directed by Chris Trebilcock. Leah, a young artist, is recovering from a recent traumatic event and is afraid to leave her own home. After her father is visited by a suspicious art curator looking into her family's past, she begins drawing a graphic novel in which there is an ominous Dark Stranger. As work on the novel progresses, Leah begins to see The Dark Stranger in real life. She isn't sure if she is completely losing her mind, or if the Dark Stranger is a supernatural force trying to destroy her. Below we have a clip called 'Drawing Blood' followed by the official trailer to THE DARK STRANGER. THE DARK STRANGER is being released on 14.October.2016 and will be available on iTunes.